Home › Art › We Rocked The Pearl Jam Suite! Seattle’s Edgewater Inn! The Beatles Fished There! Who Wants To Rock Out In The Pearl Jam Suite? Alex does, that’s for sure! She shredded this guitar while we were staying in Seattle – in a suite that Pearl Jam stayed in as well! Here’s the story to excite all music fans! Need proof? How about THIS? The Edgewater is famous for hosting The Beatles when they visited Seattle in 1964 at the height of Beatlemania – and yes, they fished from their hotel suite! More on The Fab Four in a minute, but The Edgewater loved all kinds of Musical Artists over the years, including a band who got their start in the city! Enter The Pearl Jam Suite! As you can see, Alex shared my shot on Instagram, but this is the world premiere of her “Rock God” pose! Sadly, nothing popped under that title. The walls are also covered with lots of concert posters, vintage set lists handwritten by Eddie himself, and other memorabilia to satisfy the Pearl Jam fan in all of us! We loved staying in the room, playing the albums and the guitar well into the night, and waking up to see our Seagull friend outside on our deck…and time now to remind everyone just how good the band is, still making music today! I love the band, and Alex and I just watched the documentary “Pearl Jam 20” again recently…terrific! As I said earlier, The Beatles fished from the Edgewater, and now the hotel has created a Beatles Suite as well! Got to love those photos! 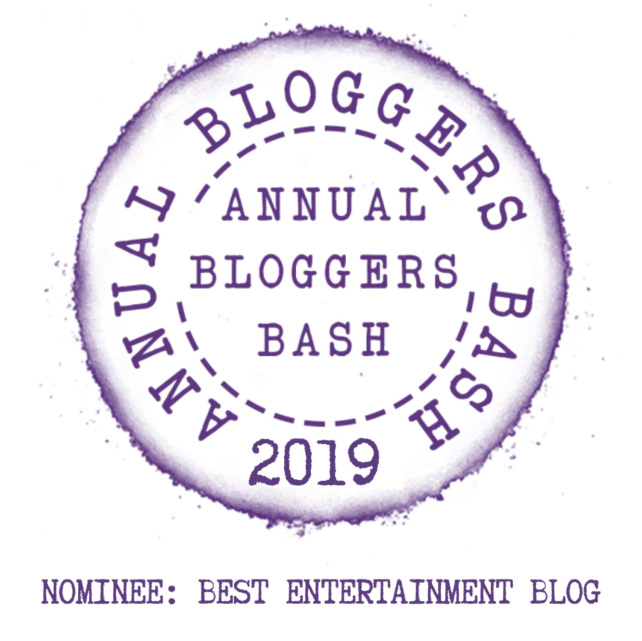 And if you enjoy this blog, please consider clicking here to vote for me in the upcoming Bloggers Bash! ‹ “What The Friday” Is Spam-tacular! How Entertaining Can My “Blog Spam” Be? How About 447,000 Worth?!?! Nice post John! An idea for a follow up post is to try and chronicle all of the bands that have stayed at the Edgewater over the years… I seem to recall stories of Zeppelin staying there with some rumoured, dubious/salacious details. I have unfortunately never had the pleasure of staying there.. one day perhaps. As someone who grew up in Seattle the Edgewater is still Seattle’s most iconic hotel, by far. Guy, I chose not to recount the Zeppelin story, w which is in the “Hammer Of The God” book – but I think I will do a more extensive look at the musical history of the place – thanks for reading and for commenting! Now that is the epitomy of cool! You both look like you are having amazing fun. Thank you so much for reading and commenting…it was a total surprise to get the room and I think we took advantage of it! Thanks for the comment…yes, lots of musical history at this hotel! that looks like such a fun time. What an experience. It was! Plus, waking up in the morning and looking out at the seagulls who sit on the railing to watch you drink coffee is a great way to begin a day! Thanks for commenting! Thanks so much! We tried to make proper use of the room and I kinda now want to get an electric guitar! Sleeping over the water sound appealing. Sounds like you two had a great time. Cindy, thanks for the comment. Waking up and having coffee with your seagulls outside watching is fun as well! You two sure look the part! You’re rock stars! Pete, that sounds like an amazing guitar! I actually am intrigued about getting one after playing around with that one…and Alex has never touched a guitar like that before, she’s just a natural rock star! My guitar was a prize, but you can buy one for less than £300 I believe. There is a very cheap deal here in the UK, including an amp. But it is probably all Japanese. Still, what more do you need as a beginner? Thanks for sharing – it’s the only hotel in Seattle that is ON the water, so you wake up and enjoy coffee in your room while seagulls sit on the railing and watch you!